Prime Minister Binyamin Netanyahu took part this afternoon in an event held by the Shin Bet (Israel Iintelligence Agency, a.k.a. the Shabak) in honor of Israel's Independence day. Netanyahu said at the event that "the Shin Bet is the solid foundation of our national strength, of the renewed strength of the Jewish people." "It deals with the terrible hatred which surrounds us in new ways, and during the past year and a half we have been under a new attack by that old hatred [anti-Semitism], using Facebook social networks to influence people to stab and murder [Jews]. "On behalf of the people of Israel, I want to tip my hat to you. Because you play a huge, huge part in repelling these attacks, saving lives. I have to tell you, the whole world is amazed that this [terrorist] problem is already spreading to many countries. "We know that the safety net is not hermetic. We know that something can happen at any moment. We know, I know, and to an certain extent the citizens of Israel know about your contribution to the decline [in terrorist attacks." The Prime Minister said that many world leaders are interested in learning how Israel copes with the phenomenon of lone terrorist attacks. "I want to express my appreciation and that of the citizens of Israel, who do not know everything about what you are doing to ensure the strength and security and future of the State of Israel, the state of the Jewish people. I thank you from the bottom of my heart, I wish you all a happy Independence Day. Thank you very much again." 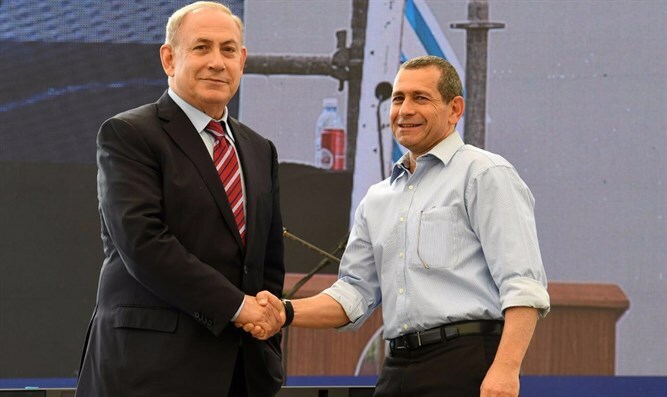 Nadav Argaman, the current head of the Shin Bet, said: "The battle which we are waging goes on every day, in complex circumstances, we thwart many threats which are constantly changing. This task requires us to work tirelessly to be prepared for clandestine warfare: at any time, any place, and in any medium which is required." "This task rests with the Shin Bet, and we have no choice but to win this war every day anew," he added.